Product #18726 | SKU MKCOMPACTACN-RD | 0.0 (no ratings yet) Thanks for your rating! 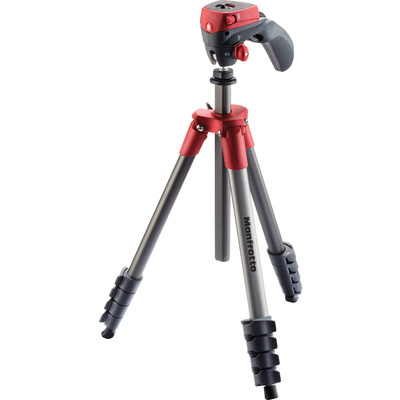 The red Compact Action Aluminium Tripod from Manfrotto is a five-section camera support that can hold up to 1.5 kg. It extends from 43.9 to 155 cm and weighs 1.2 kg. The included quick-release plate attaches to most cameras via a 1/4"-20 tripod mount.